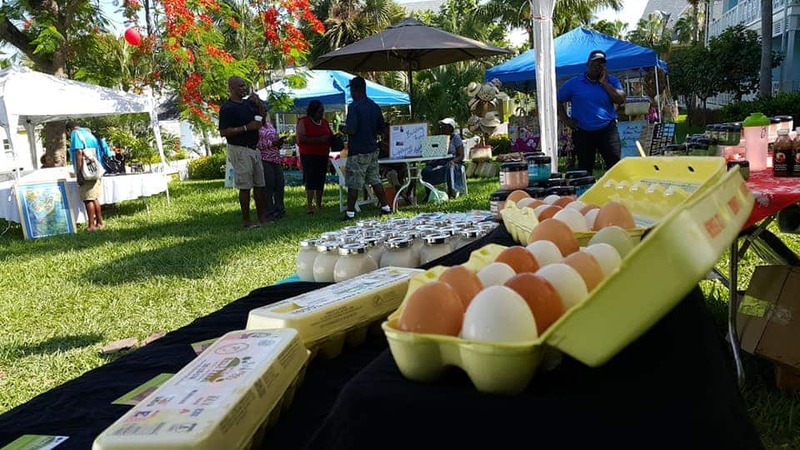 Fresh Picks Farmers Market & Artisan Showcase at Valentines Resort & Marina on Harbour Island, Bahamas will start again on November 21st for Season 3 after completing its 2nd season with huge success. The 4th of July weekend was its best yet with over 24 vendors! The Fresh Picks Farmers Market will be held at Valentines every Wednesday from 10am to 3pm starting November 21st, the day before Thanksgiving – just in time to pick up the absolutely freshest ingredients for your holiday dinner. Fresh Picks will continue to showcase the best farmers, chefs and artisans from Eleuthera and Harbour Island. The event has developed into a great happening for attendees to access farm-to-table vegetables, herbs, greens, baked goods and more. Both locals and visitors have come to enjoy this weekly event. The market will run weekly through July 24th, 2019! 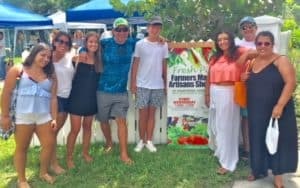 Fresh Picks Farmers Market has become the premier opportunity for culinary professionals and artisans alike from Harbour Island and Eleuthera to showcase their crops and talent to the hundreds of attendees over the past two seasons. Every Wednesday you are bound to discover a new and noteworthy vendor. The flavors, energy, creativity and fun makes the Fresh Picks at Valentines Wednesday’s favorite spot to visit. We look forward to seeing you on November 21st, 2018 for the opening of the third season of Fresh Picks Farmers Market and Artisan Showcase. To exhibit or for more information, e-mail harbourislandbuzz@gmail.com. Valentine Admin	September 27, 2018 0 Com.